Occupational therapy (OT) helps with the strengthening of fine motor skills like, writing, using utensils, learning to tie shoe laces, cutting and writing. For children, who's only "occupation" is going to school and playing, therapy will focus on the skills required on the playground and in class. The techniques and routines may seem like play to you, but they are specifically designed to target areas of delay and difficulty. Occupational therapy can help children achieve independence in many areas of their lives. 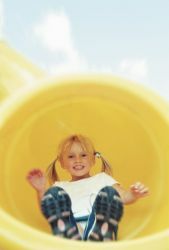 Children with various needs are offered positive, fun activities to improve their cognitive, physical and motor skills. Most importantly it enhances their self-esteem and sense of accomplishment. All OT practioners must complete an in-service training as part of their studies and have a national certified degree or diploma. They have to be licensed to practice in your particular country, and are required to continue educational classes throughout their career, to stay updated with the latest developments and to maintain their licence. Make sure your therapist has the above credentials, before committing to treatment for your child. DOES YOUR CHILD NEED OT? During occupational therapy, your child's fine motor skills will be addressed, to teach them to grasp and release toys and develop good hand writing skills. Hand-eye co-ordination is also important, as this will improve skills such as hitting a target, batting a ball or coping work from a blackboard at school. If your child has severe developmental delays she can teach them the following basic tasks; taking a bath, getting dressed, brushing hair and teeth, and feeding themselves. Skills needed for them to gain independence. Positive ways to learn anger management and control behavioural-disorders. Teach children with physical disabilities, co-ordination skills to feed themselves, use a computer and increase speed and legibility of their handwriting. Evaluate your childs need for special equipment, such as wheelchairs, splints, bathing equipment, dressing aids or communication devices. Work on improving sensory and attention issues to help improve focus and social skills. Physical therapy (Physio) deals with pain control, strengthening, range of joint motion, endurance and (gross motor) functions. Occupational therapy on the other hand, concentrates more on (fine motor) skills, visual perception, cognitive skills and sensory-processing. - many skills are learnt through art, and your child can learn without even realising it. - Writing is allot of work for a child struggling with fine motor skills. Try shaving cream on a table and have your child write letter in the cream, or finger painting letters on a large piece of paper taped to a wall. - Ask your therapist what she has been working on with your child, and let her give you some activities to do at home. This will allow your child to pick up where they left off with the therapist without regressing. - You can either order some equipment through the therapist or your school. The equipment is not cheap, but they can give you a starting point for some fun sessions and you can then see how you can improvise along the same lines. - Having fun is always the best therapy...Throwing a ball, improves hand eye co-ordination, patience and balance. 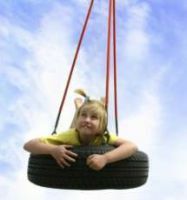 Any playground activities will give your child an OT workout without them even knowing it.